According to a poll from Academy of General Dentistry (AGD) men are far less likely to stick to their regular dental checkups compared to women. The number of men going to the dentist is fortunately on the rise, though the reason behind the upswing may have much less to do with healthy teeth and more to do with appearance. 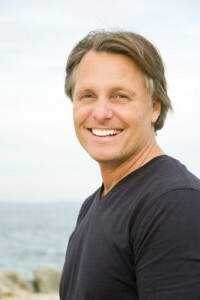 Many men are following their quests for whiter, brighter, flaw-free smiles in the hopes of earning their next promotion. Celina cosmetic dentist, Dr. Angela Ganjoor is here to help men and women attain the smiles of their dreams, which does include six month dental checkups. Expert dentists like AGD spokesperson, Dr. J.Nick Russo, Sr., see that trends are changing in his personal practice. Men are vying for better jobs and promotions once their career is established. In the past men stayed with only one or two companies in their entire lifetime of working. These days, lay-offs and company closings mean that “middle-aged men are competing for jobs with younger men, making appearance a heightened factor in their lives,” says Dr. Russo. Keeping up with the competition has many men seeking cosmetic procedures like veneers, bonding, and bleaching, to improve their appearance and help with confidence in their professional pursuits. Of the dentists questioned, 45% percent believed that their male patients did not see a need to go to the dentist. Embarrassment, lack of time, and not wanting to bother finding a new dentist, were also cited as explanations for fewer male patients. When it comes to dental appointments, the overall health benefits of bi-annual visits may not cross many men’s minds. Dr. Russo points out that even if it is an aesthetic motivation that gets male patients in to the office, eventually, the importance of their oral health in relation to their overall health is recognized.